If you’ve felt this way, then I’ve got the help you need! Are you are experiencing any of the following symptoms? Don’t allow stress to get the best of you this holiday season. Schedule a consultation with me TODAY to have your adrenals tested. Your holiday season CAN be about peace and joy! 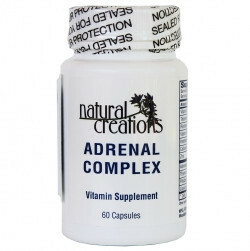 Adrenal Complex gives you support for the proper function of the adrenal glands. The adrenal glands are triangular shaped glands located on top of the kidneys. The adrenal glands produce hormones such as estrogen, progesterone, steroids, cortisol, and cortisone, and chemicals such as adrenaline (epinephrine), norepinephrine and dopamine. Use code stress15 to save 15% off your order of Adrenal Complex now through Dec. 31. Check out episode 95 of The Feeling Good Podcast, where we talk about the Christmas season and all the hustle and bustle that comes along with it, as well as the stress. I know all about stress during the holiday season. Holiday stress is very real, but there are ways we can harness holiday stress. Listen now to find out how YOU can harness the holiday stress.